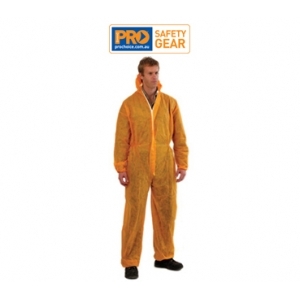 Lightweight polypropylene material with hood and elastic waist, cuff and ankle. Easy to put on and remove. Two way zipper for when nature calls. Ready access to clothing underneath. Durable and economical.